Tri Valley's Most Trusted Carpet & Flooring Store since 1971! Beau Monde is an exclusively Amtico, Wools of New Zealand Elite and a technologically advanced Hybrid Flooring studio. Nationwide. We do not offer Hardwood or cleaning services. Amtico Floors start at $5.99 per sq. ft. (material only) Hybrid Flooring start at $2.99 per sq. ft. (material only) 100% Wool Carpets start at $3.29 per sq. ft. (material only) With an Amtico floor you can custom create a one of a kind floor, a 100 sq. ft. area would cost $1,500.00 to $1,900.00 or a new Hybrid (100% waterproof) floor $900.00 to $1,200.00 or if you prefer 100% Wool Carpet $800.00 to $2,100.00, these figures are based upon our 36 years of experience, please call or email us with your dimensions for a free no obligation quote. Established in 1983 and located in Belmont, California, Beau Monde Fine Floors, Inc. has proudly served the Bay Area for over three decades with the most beautiful flooring products available anywhere. As the exclusive authorized Amtico studio and one of the original Wools of New Zealand Elite Showroom in the San Francisco Bay Area, we offer the most technologically advanced flooring in the world that is also environmentally friendly. The President of the company Michael A. Kazarian is a former second generation union floor covering installer. He started Beau Monde in South San Francisco on April of 1983 and in January of 2005 he moved the company to the convenient location of Belmont, California for his customers. Also in 2005 he was asked to be apart of a newly formed National Advisory Council for Amtico. Visit our designer showroom to learn more about Amtico flooring, wool and toxic free nylon carpets. Here you will be able to view the most up-to-the-minute flooring products available in the marketplace today. Let our certified flooring specialists assist you in any or all phases of your flooring project, from planning and design to patterns and colors to project completion, visit our showroom today. We look forward to seeing you. 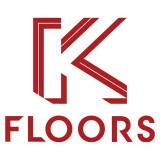 Floor Coverings International provides expert flooring design and installation to the greater Concord, CA area! We offer a wide variety of quality flooring products, from beautiful hardwood to soft carpet to eco-friendly bamboo. Our team of flooring experts will help you achieve the floor of your dreams, right from the comfort of your own home with a free in-home flooring consultation. We bring the flooring samples right to your door! Contact us today to learn more. Diablo Flooring, Inc - Founded in Pleasanton, CA 94566 . We our a family-owned, boutique Carpet & Hardwood Flooring business. 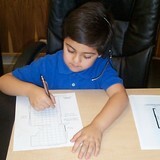 OPEN 7 DAYS A WEEK IN DANVILLE, CA 94526 & WALNUT CREEK, CA 94596 2 Locations in the San Francisco Bay Area. Locations Danville, CA 94526 Walnut Creek, CA 94596 Danville Showroom Monday - Friday 10:00 - 5:00 PM Saturday 10:00 - 5:00 PM 112 West Linda Mesa Ave Danville,CA 94526 Tel: 925-314-9663 (WOOD) Fax: 925-314-9664 Walnut Creek Showroom Monday - Friday 10:00 - 5:00 PM Saturday 10:00 - 5:00 PM 1813 Mt. Diablo Blvd Walnut Creek,CA 94596 Tel: 925-988-9663 (WOOD) Fax: 925-988-9664 Others may match or beat our price. But others will never be able to match our expertise, our selection and our commitment to providing our customers the best value on every product we sell and install. The home furnishings industry is not known for its state of the art training, its customer friendly sales or even its fast and professional installation. Signature Carpet One Floor and Home is the East Bay's premier provider of Carpet, Hardwood, Laminate, Vinyl and Tile for homes and businesses. Located in Fremont, CA, we are a locally owned retailer and have been providing high quality sales and service to customers in the Bay Area for over 25 years. As part of the Carpet One cooperative of 1200 independent stores, we offer the best prices on a wide array of design choices that fit any budget or style, all backed by an industry leading warranty. Our team of design experts and certified installers are here to help transform your home or office into a beautiful place to live or work. With strong ties to the local community and a legacy of satisfied customers, our company is committed to providing the best service and floor buying experience in Northern California. We invite you to call or visit our store to learn more about our products, and to discover first-hand how rewarding a personalized floor shopping experience can be. We’ve done the research for you. Just tell us your needs, and we’ll satisfy them beyond your expectations. Look to us for the largest selection of carpet, hardwood, laminate, ceramic tile, vinyl, custom area rugs and more — and you'll always find the best products and great savings ... every day. We also offer a complete line of window treatments by Hunter Douglas to compliment your new flooring. 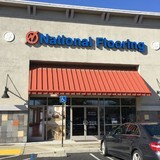 Welcome to Floor Coverings International East Bay! We are the premier flooring company serving the Pleasanton area. We provide high quality design and installation services and carry the latest flooring products including hardwood, carpet, stone, and tile flooring! Take the guesswork out of getting new floors and schedule your free estimate in-home consultation today! At SimpleFloors we're passionate about providing our customers with premium-grade, design-conscious hardwood flooring at guaranteed low prices. Our beautiful and unique products enhance the health, style and longevity of your space. With thoughtful design and specialized customer service, shopping with simple SimpleFloors is rewarding and hassle-free. We manufacture the selections we sell, making our prices unbeatable, and we are open to the public. Hardwood Floors, Hand Scraped Flooring, Wood floors, Laminate flooring, Bamboo Floors, Cork Flooring. Strand Woven Flooring. Engineered Hardwood Floors. My name is Aaron, and I’ve spent the last 15 years helping customers find the perfect flooring for their homes. I founded Qualityflooring4less.com with a simple mission in mind: to provide the absolute best value-added service of any flooring retailer on the Internet. Many people assume that the only factor to consider when shopping for flooring is price. At Qualityflooring4less.com, we always strive to offer the lowest prices, but it’s our customer service that sets us apart. We work one-on-one to help you select the right combination of products, accessories, and delivery options. I personally stand behind every sale 100 percent; your satisfaction is paramount to our success. At the end of the day, we’ll do whatever it takes to help your design dreams become reality. That’s what makes us an industry leader. At Abbey Carpets Unlimited, you will discover one of the largest floor covering showrooms in the Napa Valley. Owner, Janice Clifton, invites you into her 12,000-square-foot, full-service flooring showroom. A team of dedicated skilled sales people are always available to help with information, selection and experienced assessment. As a non-commissioned staff, your experience is pressure-free and staff members pay attention to each homeowner's particular living situation and assist them in making final decisions based upon their needs, personal preferences and budgets. Abbey Carpets Unlimited - Flooring Design Center in Napa carries the latest trends in wall-to-wall carpeting, area rugs, hardwood floors, vinyl, tile, stone, including marble. Janice and her staff are excited about their exotic selection of hickory, pecan, Brazilian cherry, maple, bamboo, and cork as well as simulated or real stone and hardwoods. We also have a large selection of luxurious wool carpets and have been proudly serving our area since 1979. As the premier floor covering showplace in the Napa Valley, Abbey Carpets Unlimited is your one-stop showroom for all of your floor covering needs. Our desire is to provide the best and largest selection in a friendly, comfortable and helpful atmosphere. Come in and see our wide selection of carpet, hardwood, laminate, vinyl, tile, window treatments and countertops! Shine Rugs is the company that offers direct from factory patchwork cowhide rugs. We customize any size and any color. Working with the best natural cowhides every area rug always turn out unique. Founded by two brothers with a long family tradition in stock and hide tanning, Shine Rugs settled their factory with great tradition in leather tanning and cowhide manufacturing, where every design is especially bespoke made with the highest attention to detail. We start our process by hand selecting every cowhide before cutting the chosen pattern, which gives every design a tailor finish. At Shine Rugs we use all natural colors (white, beige, grays, brindles, browns and black) and our special dyed blue and light blue colors. This variety captures the best from the natural world, respecting its harmonious tones and hues. We work closely with interior designers, stylists, constructors and architects from around the world to produce custom carpets to fit their needs. We are always open to new ideas and new designs. This gives our customers the freedom to ask for their own ideas and express themselves through our products. Bay Area Floors & Design specializes in sales and installation of all types of flooring, from carpet to hardwoods. Every project is backed by a labor warranty and individual manufacturer's warranty! We happily help homeowners select a floor they will love for many years at an affordable price. We service all over Northern California commercially and residentially. We help with design and your needs. We offer a full service flooring experience, meaning our installers work for Bay Area Floors and are not sub-contractors. We stand behind our products and our labor. Tony has made a name for himself as one of the San Francisco’s luxury, premier vintage and contemporary carpet dealers, working with acclaimed interior designers and high profile collectors worldwide. Tony began his career working with antique carpet and textile dealer Baktari Gallery, where he was introduced to high quality rugs and quickly learned the tricks of the trade. After honing his eye for luxury home goods while managing Baktari Gallery’s Pacific Heights store and working with Peter Pap Oriental Rugs, he established Tony Kitz Gallery in 1994. At his eponymous business, Tony showcases the highest quality collection of antique, vintage, and contemporary carpets sourced from Turkey, India, Nepal, Morocco, Afghanistan and beyond. Partnering with a vast network of trusted suppliers, his rug selection demonstrates an excellent balance of color, condition, surface, and materials. 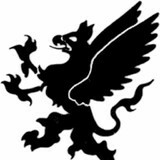 Tony Kitz distinguishes himself from competitors with his breadth of knowledge, one of a kind, luxurious inventory, and unparalleled customer service. *Authorized Armstrong & Mohawk Flooring Dealer* Our carpet, hardwood, laminate, and tile flooring combines style, comfort and affordability. Whether you prefer a classic look or more contemporary flair, we have something you’re sure to like. Browse our selection today and add beauty and warmth to your home. Get the best selection of flooring in the Bay Area! Chose from hundreds of styles and colors. At the Floor Store we are here to help you choose the right flooring for your lifestyle and budget. Our sales consultants know our products and we’re proud to provide friendly and knowledgeable service during every step of the process — at every Floor Store location. You can even have a design consultation in the comfort of your own home with our Shop at Home service. Simply call your local Floor Store to set up an in-home appointment. At our independently owned and operated Floor To Ceiling showroom in Windsor you'll find a wealth of Decorative Products to suit every taste—and every budget! Carpet Center Floor to Ceiling carries a complete line of products from the world's leading manufacturers. 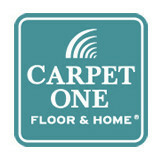 Carpet Center Floor to Ceiling has experienced, quality minded professionals in both residential and commercial markets. We believe that it should be all about you. Our main goal is to do everything possible to make you satisfied! We are the leading supplier of electric floor heating in Northern California. We stock standard-size Nuheat and QuickNet mats, and supply custom mats, cable systems and the industry's first wi-fi enabled thermostat to customers from Sonoma to Monterey County. Carpet dealers in Hercules, CA help homeowners choose the correct carpet covering for their floors, and also assist with carpet maintenance. This includes determining factors like material, carpet pile, durability, color and size, as well as helping with any custom carpet design. After completing the initial installation (which includes removal of the old flooring, if applicable, and surface prep), they may also handle follow-up maintenance requests such as carpet cleaning, carpet repair and carpet stretching. Find a carpet dealer on Houzz. Narrow your search in the Professionals section of the website to carpet dealers in Hercules, CA, and read reviews and ratings for pros in your area.